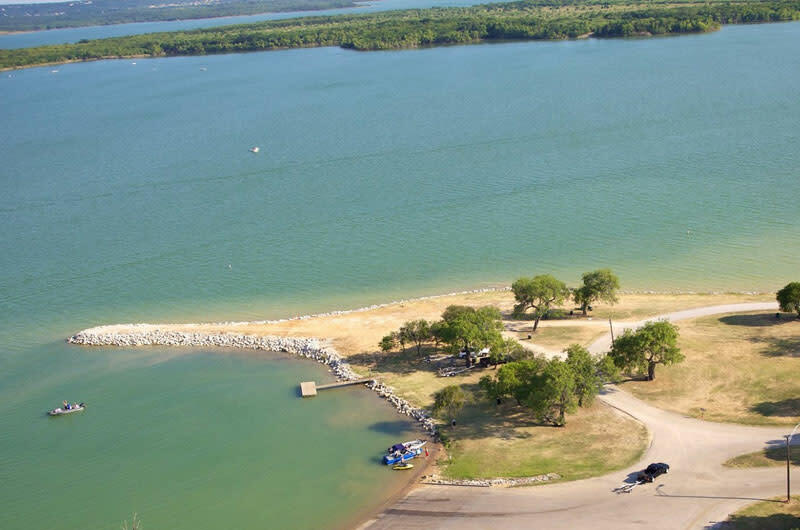 There are three parks at Joe Pool Lake. The largest of the three is Cedar Hill Park with 1,826 acres. It has a marina, numerous boat ramps, hiking, swimming, mountain bike trails, a fishing barge and over 300 campsites. Many of the campsites are along the shore of Joe Pool Lake and there are hundreds of picnic tables and barbeque grills. Loyd Park has 791 acres which provides visitors with access to campsites, boat ramps, a boat dock, a beach, hiking trails, an equestrian trail, picnic facilities, a softball field, and a volleyball court. Lynn Creek Park is provides a boat ramp, a beach area, a concession stand, group and single use picnic sites, and sand volleyball courts. Lynn Creek Park is a day use facility that is open from March through October.